Shure’s digital signal processor, the IntelliMix P300 Audio Conferencing Processor, is now available. 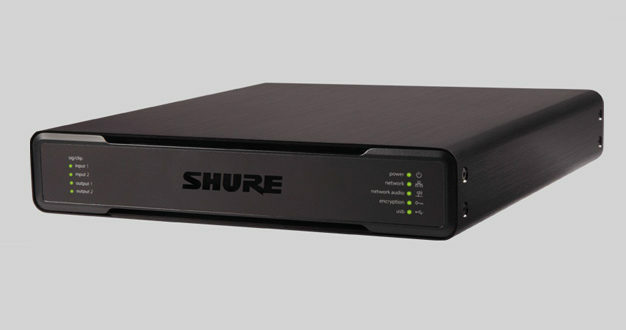 Originally introduced at the Integrated Systems Europe (ISE) 2017 show in Amsterdam, the P300 offers Shure IntelliMix DSP algorithms to, according to the company, ‘significantly enhance’ audio quality in video meetings; a variety of connectivity options, plus connectivity with Shure Microflex Advance; and Microflex Wireless microphone solutions for AV conferencing. The IntelliMix P300 boasts a half-rack footprint and is simple to install, providing professional conferencing technology which allows users to create a highly intelligible, collaborative meeting experience in small to medium-sized rooms. 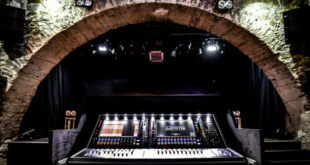 The new processor connects up to eight Dante microphone channels to a room video system, USB soft codec, or mobile device. 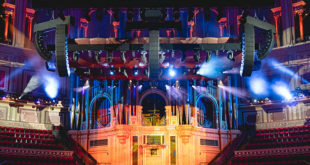 Each channel supports multiple IntelliMix DSP features, including Acoustic Echo Cancellation (AEC), Noise Reduction, and Automatic Gain Control, plus automatic mixing. These features provide full duplex communication for echo and noise free meetings. The fixed architecture makes for simple setup, resulting in less DSP programming and commissioning time onsite. 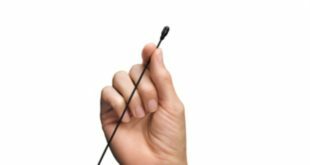 With USB connectivity, the P300 can be used with common soft codec programs such as Skype and BlueJeans, while the 3.5mm connector means that anyone on a mobile phone or tablet can bring any remote participant into the conversation.